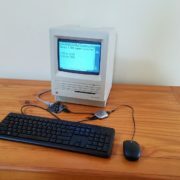 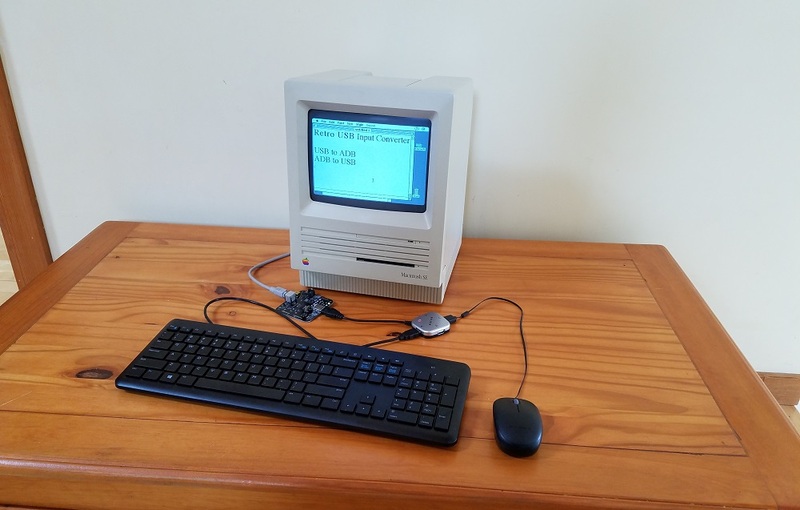 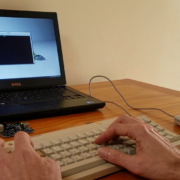 Use a modern optical mouse with your vintage Macintosh, or a retro ADB keyboard on your modern PC. 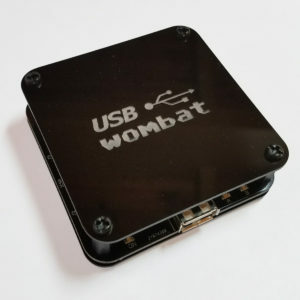 ADB-USB Wombat is a bidirectional input converter for USB and ADB keyboards and mice, and an indispensable tool for Apple collectors. ADB-USB Wombat is a bidirectional input converter for USB and ADB keyboards and mice. 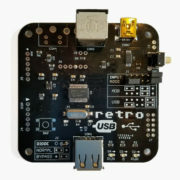 It works in two directions, connecting modern USB peripherals to a classic ADB-based Macintosh or Apple IIgs computer, or ADB peripherals to a USB-based computer running Windows, OSX, or Linux. 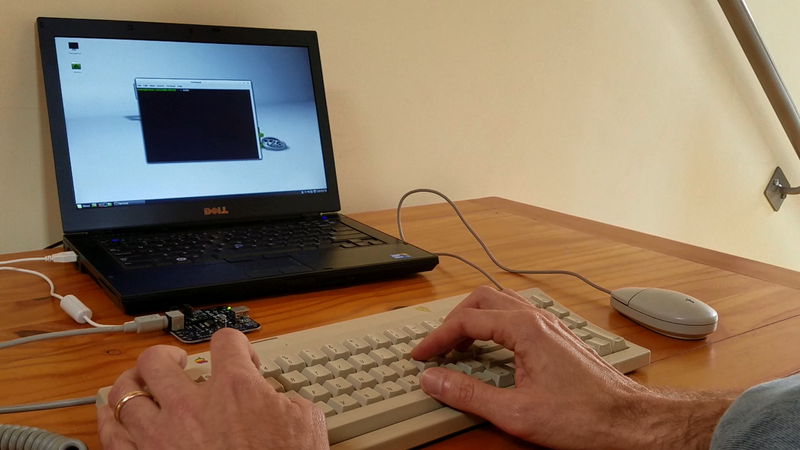 The foreign keyboards and mice behave exactly like native peripherals, requiring no special software or drivers – just plug it in and go. 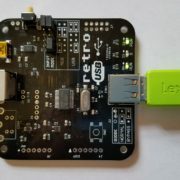 ADB-USB Wombat comes fully assembled and tested – just plug it in and run. 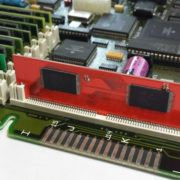 The ADB-USB Wombat hardware is compatible with all Apple computers, keyboards, and mice using a mini DIN 4-pin ADB connector, including most early Macintosh computers and the Apple IIgs. 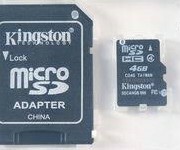 It is also compatible with standard USB keyboards and mice with a USB-A connector. 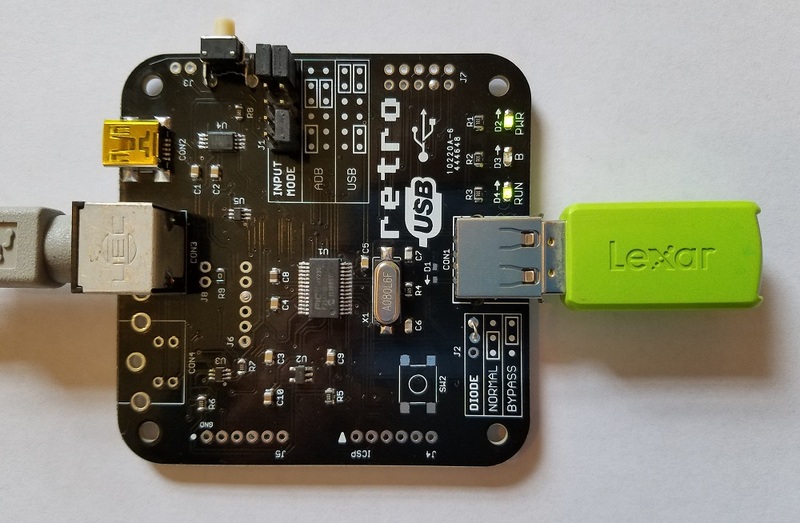 When in ADB-to-USB conversion mode, it works under Windows, OSX, Linux, or any other operating system that supports USB HID input peripherals. Need an extra ADB cable for use with your ADB-USB Wombat board? 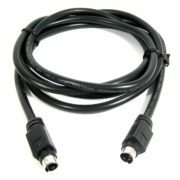 See the list of related products below. Please visit the ADB-USB Wombat project page for complete details, usage information, instructions, and downloads.